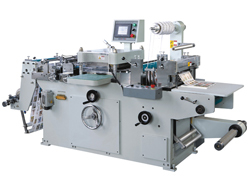 The MQ-320 die cutting machine of printing machinery is a high-precision platen one. 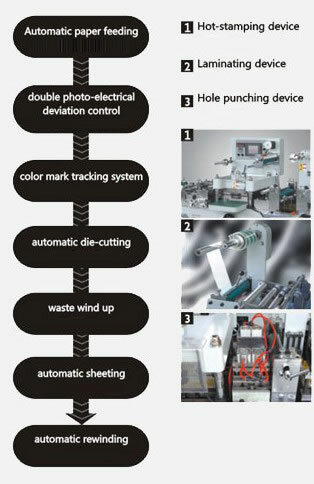 Material dragging positioning is controlled by the servo system. Positioning of transverse deviation correction and longitudinal tracking are controlled by two and one high-precision photoelectric eye respectively. 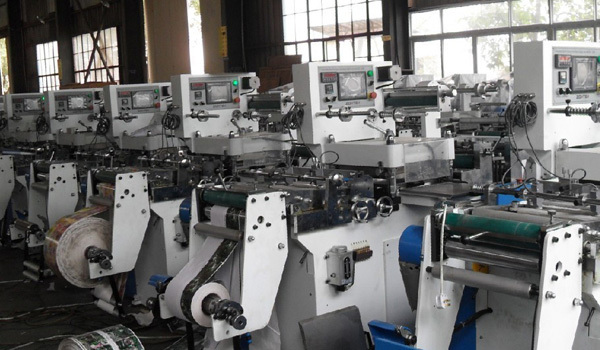 The control is extremely precise and the cutting has a high accuracy. The error is no more than 0.1mm. This equipment can be used to finish laminating, die cutting, waste discharging, sheeting, winding, and other processes. Most of these working procedures are completed automatically and is thus very convenient. Our product can cut materials with the maximum length of 290mm and width of 300mm. The maximum cutting speed is 170 times per minute. 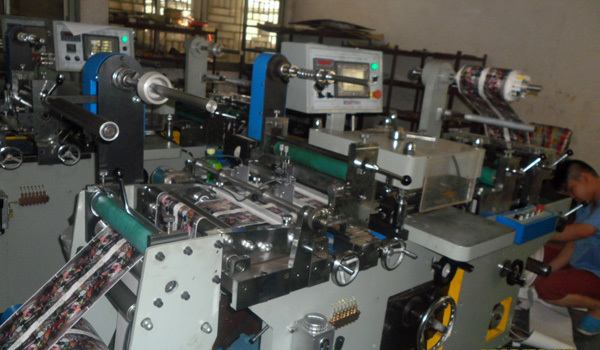 This die cutter is suitable to be used with various web printing and laser molding machines. 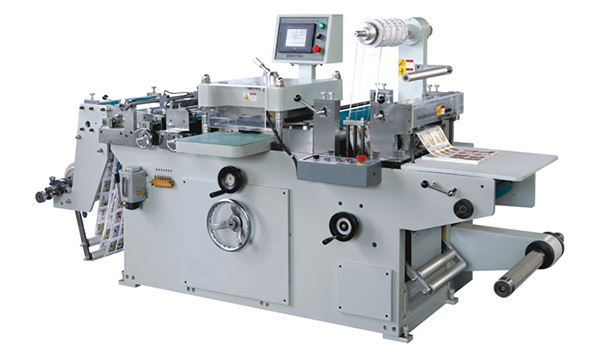 It is the ideal die cutting and molding equipment for manufacturers in label printing, electronics and adhesive products industries. 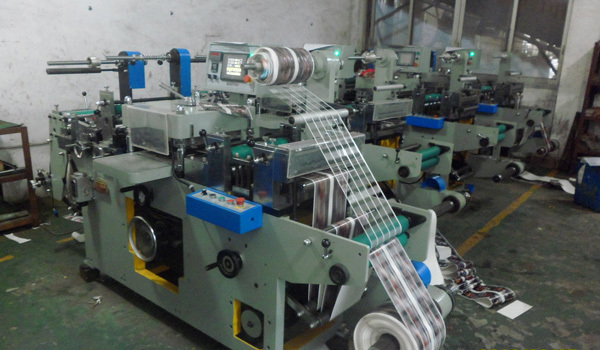 Note: 1.Machine speed varies with the change of the printing length. 2. If there is any change in the appearance or process, no further notice will be given. 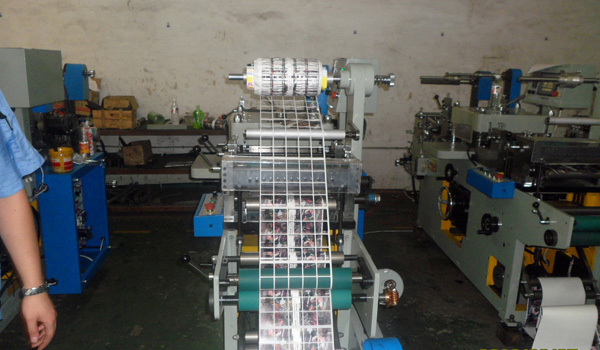 As a specialized die cutting machine of printing machinery manufacturer and supplier in China, ZONTEN also provides offset printing machine, Flexo printing machine, resin printing plate exposure machine, and letterpress label printing machine, among others.